Unlike many traditional HVAC systems—which move heated or cooled air throughout the interior of a building using ductwork—Trane Advantage VRF systems use an innovative new process, moving heated or cooled refrigerant throughout the interior of a building using small-diameter pipes. The refrigerant then passes through coils in each room being served by a system; fans or blowers move air past the heated or cooled coils, transferring either warmed or cooled air into the room. The S-series furnace cabinet is designed to accommodate virtually any home, and is certified to be airtight to less than 1%. Every Trane furnace is packed with high-quality components. Each helps ensure that time after time, your unit will provide total comfort your family can rely on. Trane Voyager features cutting edge technologies: reliable compressors, computer-aided run testing, and Integrated Comfort™ Systems. Trane rooftop units and systems are unitary systems manufactured in various configurations providing single or multi-zone heating, cooling, and ventilation. Trane furnace installations are the easiest equipment to work with and the best systems to professionally install. One of the smartest things that you can do. If you're looking to buy a furnace is to install a Trane furnace. 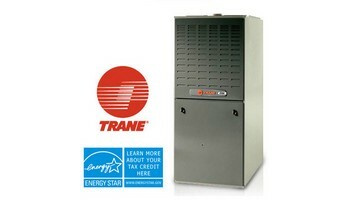 Trane 96% furnaces are fantastic great systems. There's a difference between a Trane forced air system. This furnace that you install is designed a head of its time. And comparing it to a name brand system. you can feel the thickness on the cabinet of the Furnace. You can see the controls how different and how well-built they are. Trane systems are meant to last and it's hard to stop a Trane furnace. The efficiency of a Trane systems are by far the greatest in the forced air system. The Price is Right Heating and air conditioning company. We install 90% efficiency systems single stage furnaces or two Stage systems. We even install 96% efficiency variable speed systems. We do all Trane installs. We service repair and maintain all forced air systems. You have heard the saying it's hard to stop a Trane forced air system. Trane has the best by far 80% single stage two stage furnaces that are out there today. These systems give you 20 year warranty on heat exchanger. 10 year on parts and labor. 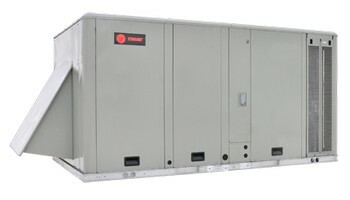 Trane also has the 96% efficiency single stage furnace. The two stage high-efficiency furnace. The variable speed high-efficiency furnace. Is the top-of-the-line system that's out there today. Talking about reliability and durability and dependability. Trane furnace is that system. Install Trane furnace today. 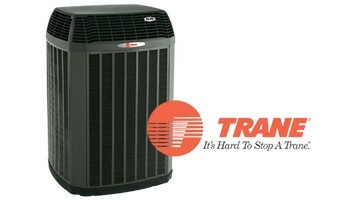 Now you have heard it is hard to stop a Trane and that is 100% the truth. Because of you install a Trane forced air system properly. Then that Trane with the proper install will last through 20 to 30 years. Just as long as you clean and check the systems Everett heating and air conditioning season. A Trane furnace with the proper install and maintenance. It will give you a long life. Some of the best expert furnace installers that I've seen on the field are the Trane furnace installers. The ductwork transition and the return drops. The HVAC installation of furnace and coils are some of the best furnace jobs. I've seen in the field. After installing a Trane forced air system. You are very proud that you made the right decision. Going with Trane for their durability and their name is who they are. It is very hard to stop a Trane furnace.